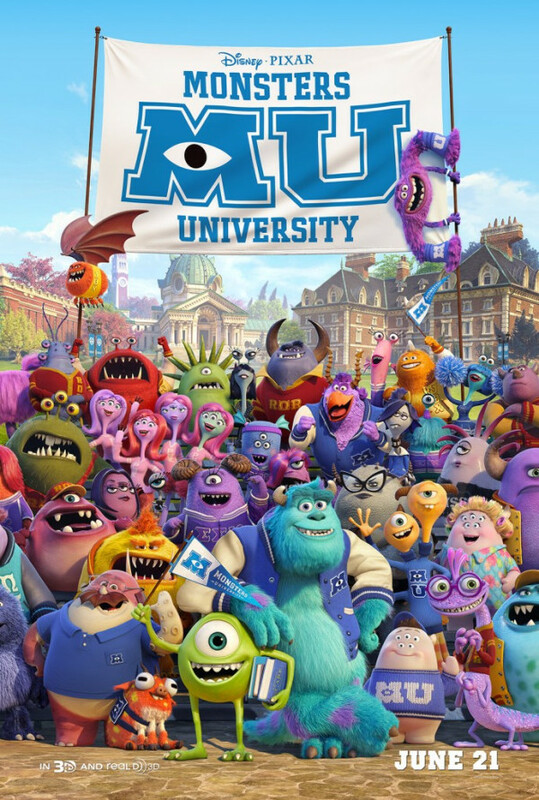 A NEW Monsters University Poster has been released, courtesy of The Walt Disney Studios UK Facebook page. This brightly colored poster is full of excitement and new characters - including Archie the scare pig! Click to enlarge image. Photo via Walt Disney UK Facebook page. One of the cast of characters that we are most eager to meet is ART. His unique furry rainbow design and humorous one-liners makes him already one of our favorites! See our other Monsters University related posts here.